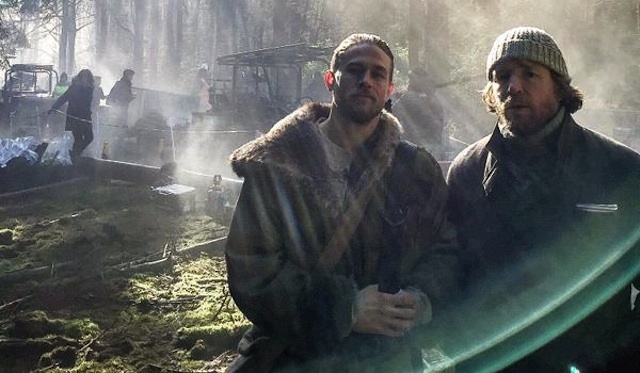 Like the use of a peace pipe, it was the smoking of a joint that bonded Charlie Hunnam with Guy Ritchie, the director of King Arthur: Legend of the Sword. The actor who played the would-be King Arthur in the eponymously named movie, Charlie Hunnam, says he convinced director Guy Ritchie to cast him as King Arthur after the two bonded over weed. (I heard about) Guy Ritchie’s King Arthur and I thought, ‘That’s a brilliant idea,’ and I just sort of saw it right away and wanted to be a part of it. That saw the actor booking a trip to London, during a week off from filming Sons of Anarchy and booking a meeting with Ritchie, where he had the standard pitch good to go. But, very quickly, Hunnam learned that Ritchie didn’t want to even talk about the movie. He was actually interested in the medical marijuana business in California, which I knew a little bit about, so we ended up, bizarrely, talking about medical marijuana for two hours. But, what I realized in hindsight was, he just wanted to get to know me as a chap. In hindsight, Hunnam realized that the director didn’t really care about what his theories about Arthur were, or what my opinions of the script were because Ritchie already knew what he wanted to do with it. What he wanted to see was what I was about and whether we saw life in the same way. Hunnam, a British actor who is more well-known for his roles in the United States, has gone back to his Brit roots with roles in not only King Arthur but also as a British explorer in The Lost City of Z. He fought to make sure that the two releases didn’t overlap, as Hunnam had a fear that the juggernaut that is King Arthur would see The Lost City of Z being swallowed up” in the mix, but lost the fight. I’m disconnected from that because the huge moment, for me, was when I shot the films and when I got the films. I mean, for an actor, the greatest moments of our lives is when we get the call telling us that we got a role that we really wanted.